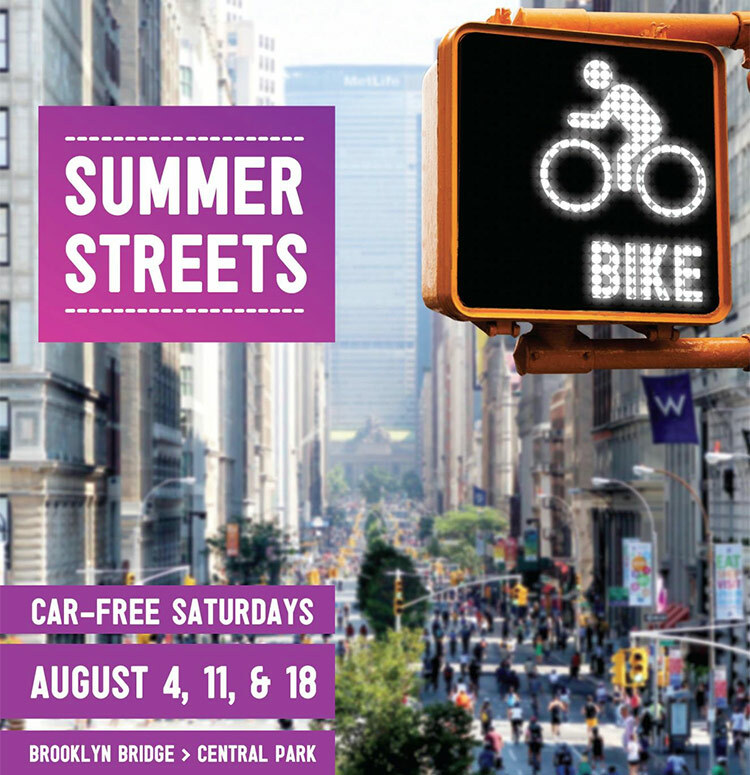 Summer Streets Launches Tomorrow in New York City! - Archpaper.com Summer Streets Launches Tomorrow in New York City! Summer Streets Launches Tomorrow in New York City! Saturdays in August, Manhattan is made for pedestrians and cyclists. 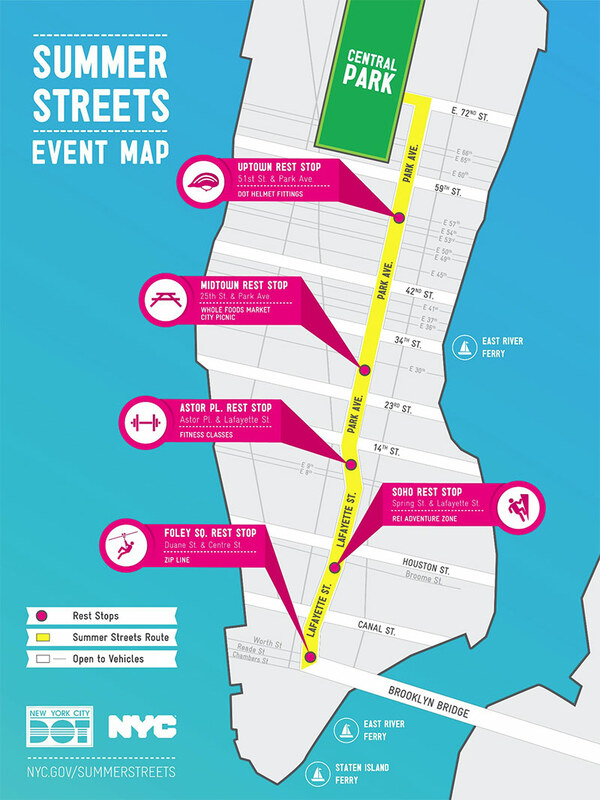 The fifth season of Summer Streets, New York City’s spectacularly popular open streets program where a major thoroughfare is closed off to traffic and opened up to just about everything else, kicks off tomorrow, August 4 from 7:00 a.m. to 1:00 p.m. Lafayette Street and Park Avenue will play host to thousands of New Yorkers experiencing the city in a way normally only someone with a death wish might, and this year, the NYC Department of Transportation is stringing out new attractions along the nearly seven mile route. Near the southern end of the route (see map below), a 160-foot-long zip line will stretch across Foley Square. For the earth bound, free bike rental will be available. At other rest stops located along the route, a variety of activities from art installations, to a pop-up yoga park, to free bike repair will be sure to change the way you look and and live in the city’s streets. See you Saturday!